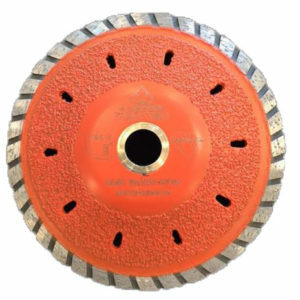 One of the top premium blades for stone! 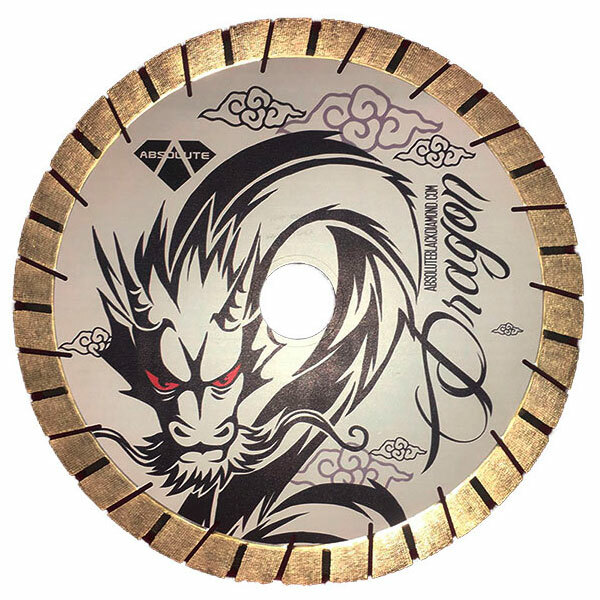 The Absolute Black Diamond White Dragon Super Premium Blade powers through quartzite, granite and marble with ease! Good cutting speed combined with blade life. Available in 14, 16 and 18 inch. 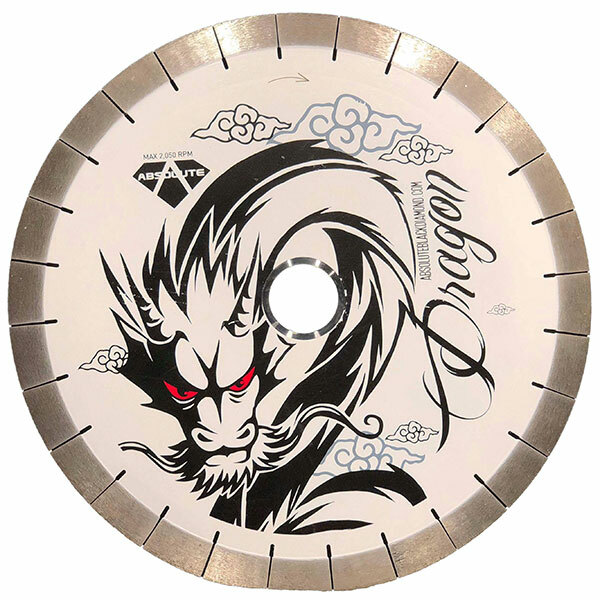 The Swiss Cheese Blade features a solid core with the diamonds exposed. No segments to break or fly off! No flex or play. 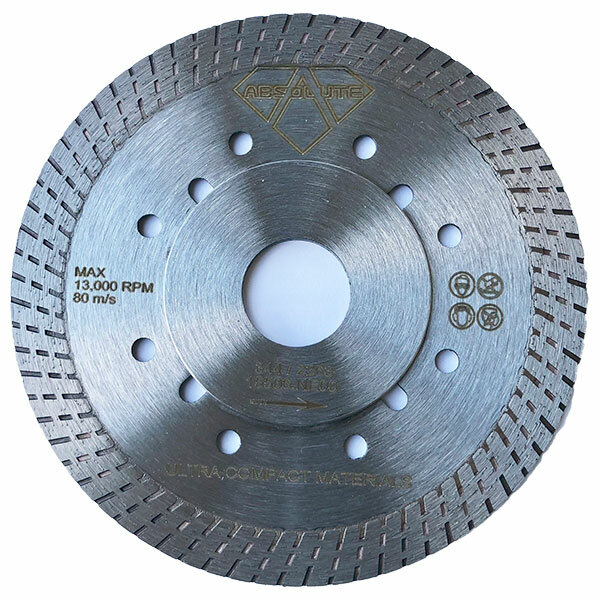 This blade will cut any material with minimal chipping, even dry glass. 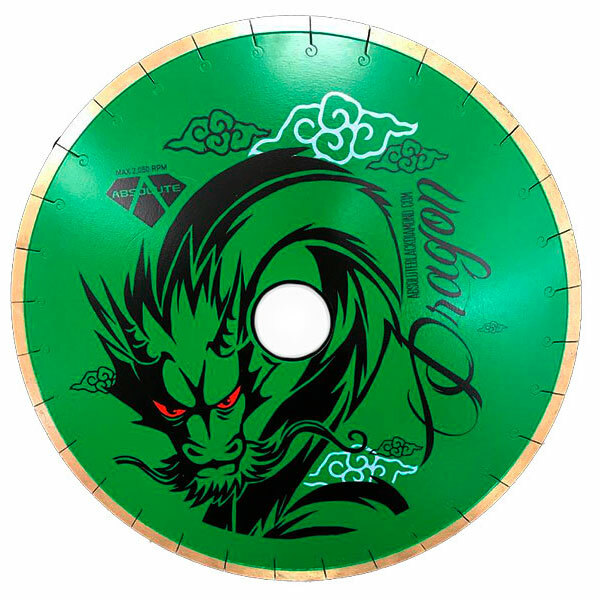 Available in 5 and 7 inch blades. 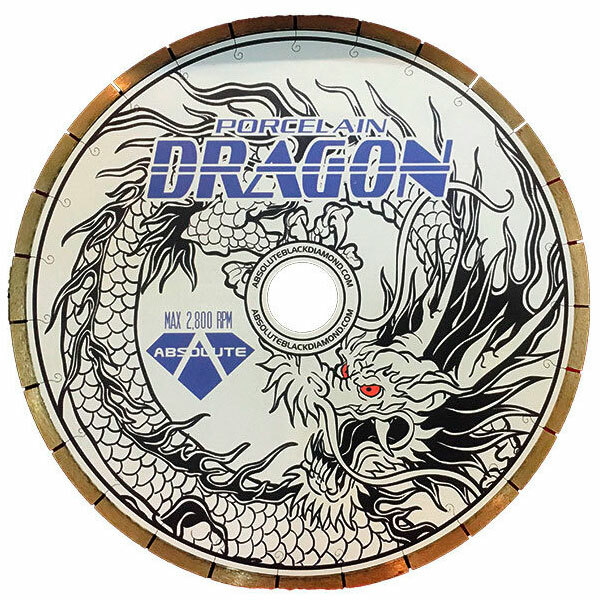 Watch the video below to see this blade in action! 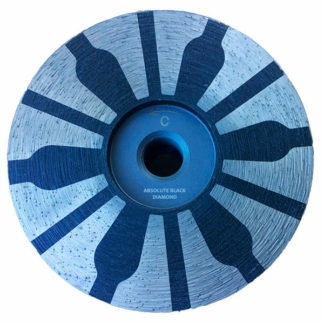 The Absolute Black Diamond Quartzite Turbo Blade is our fastest cutting blade - rips through all hard material without chipping. Excellent blade life and cutting speed. Available in 5 and 6 inches. 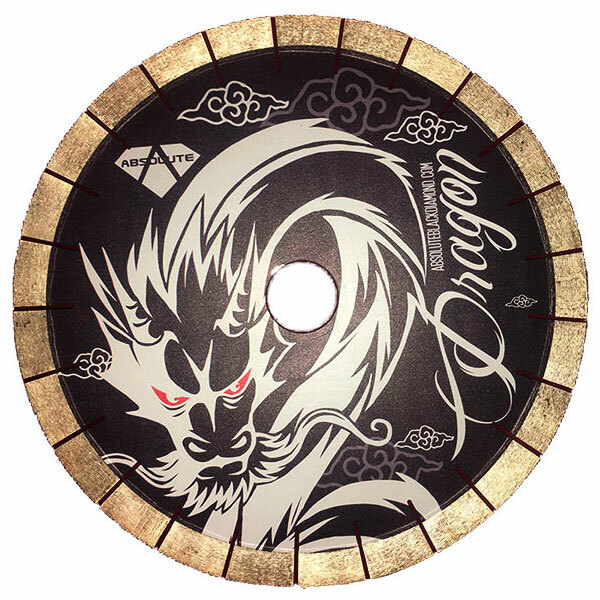 The Absolute Black Diamond Resin Filled Cup Wheel is a supreme quality cup. 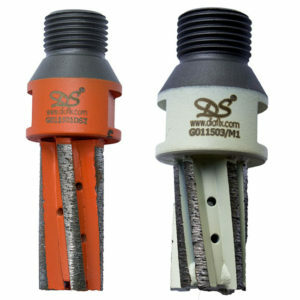 No chipping and no vibration - smooth grinding with a longer life. 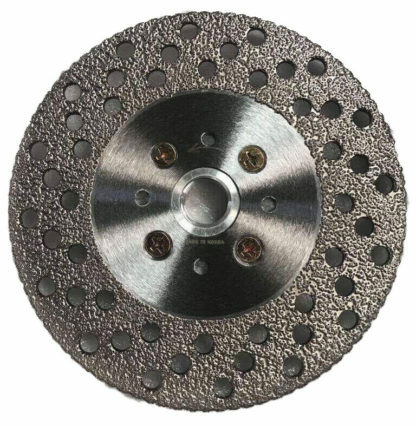 Has 12 T diamond segments surrounded by resin and is available in coarse, medium and fine. 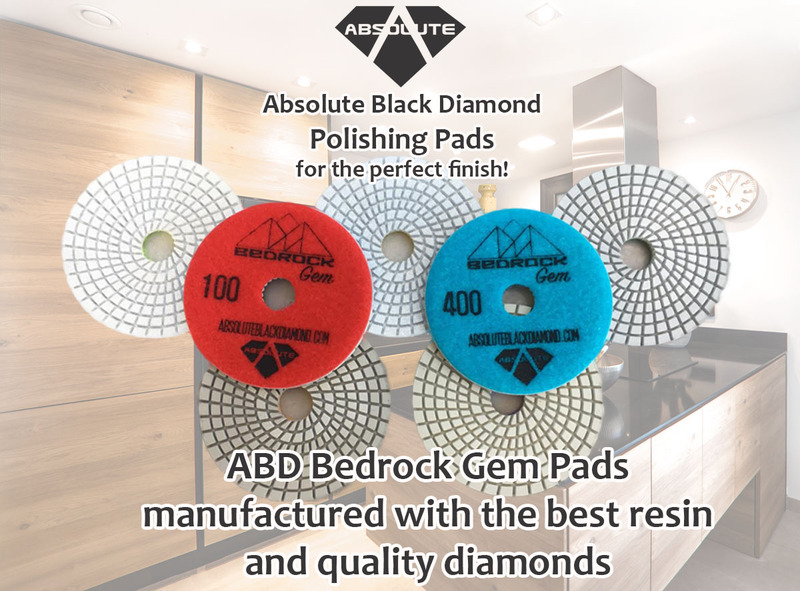 The perfect solution for granite, marble and engineered stone! 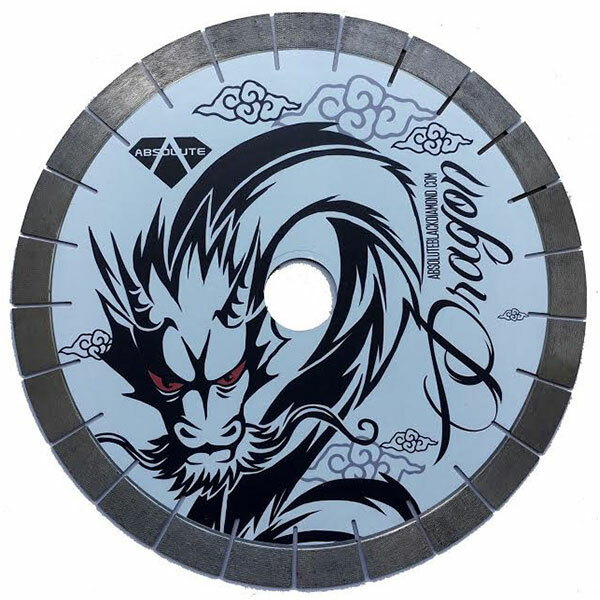 The Komodo Ultra Tile Blade with super premium diamonds and it's very thin rim easily cuts through porcelain, granite tile and stone. It's our best tile blade for good reason! "This Swiss Cheese Blade didn't chip off anything...very nice blade! Thanks!" High speed removal wheel demo. These wheels come in different shapes - here we demo a shape for more aggressive removal. 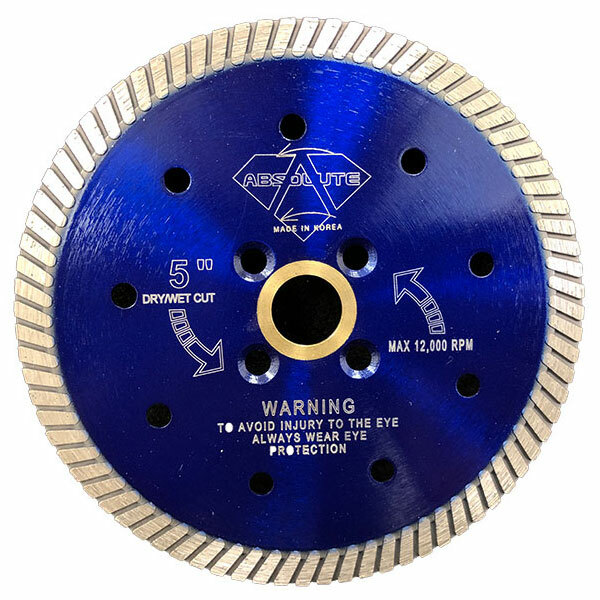 Superior quality, precision engineered blades at GREAT PRICES!